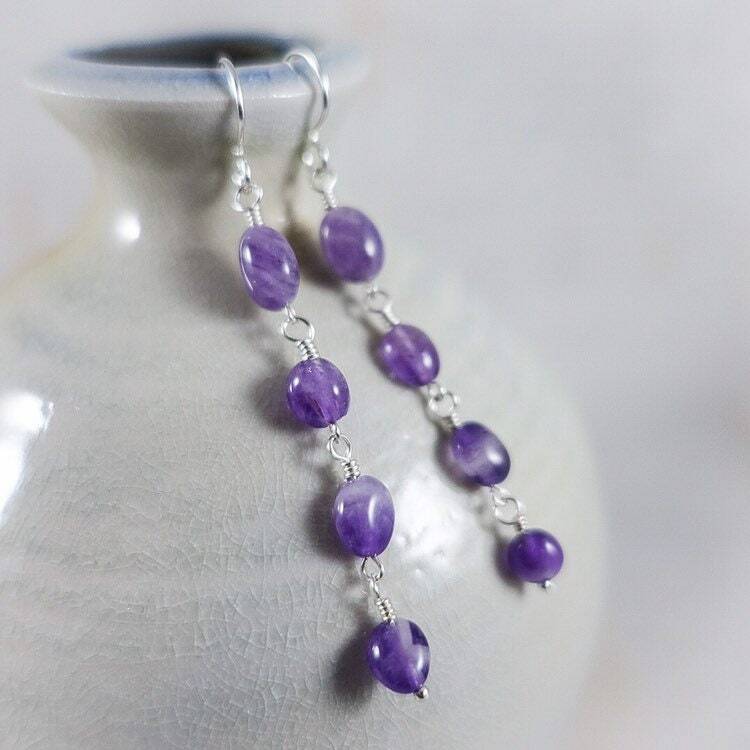 A cascade of amethyst ovals are hand wired in sterling silver and hang 2+ inches from sterling silver ear wires. Rubber clutches proved for security. 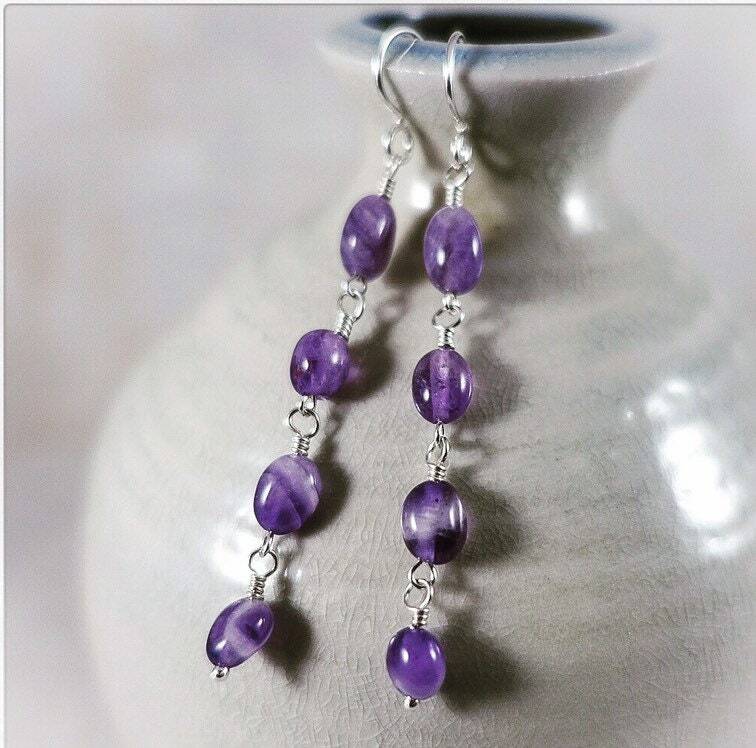 Amethyst is believed to help purify the mind and reduce stress and anxiety. So wear these dangles for a little rest and relaxation.